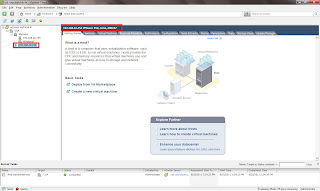 In my previous post I showed how to upgrade VMware vSphere 4.1 to Vmware vSpher 5.0 via VMware vSphere 5 DVD. 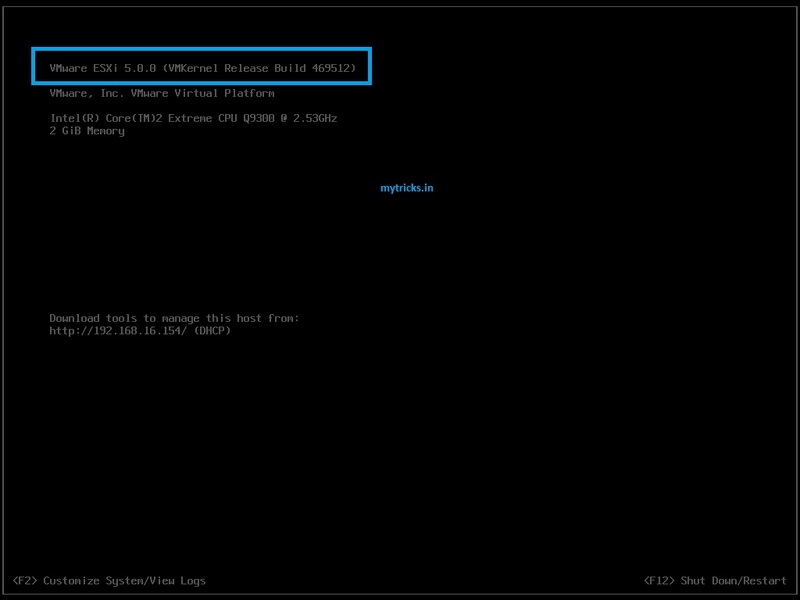 Now I am going to upgrade my VMware ESX 4 Server to VMware vSphere 5 via VMware vCenter update Manager 5. 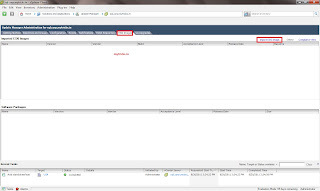 The process is easy & straight forward. 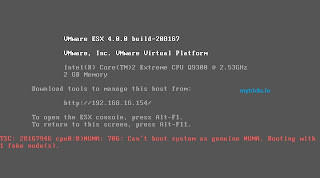 Check below posts in order to get more idea on VMware vCenter 5, VMware vSphere Update Manager 5 & VMware vSphere 5 installation. 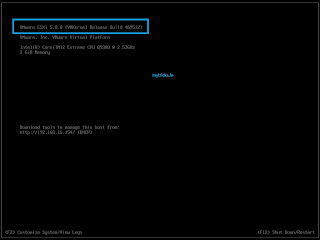 My current VMware ESX version is 4.0 build 208167 & I am going to upgrade it to VSphere 5.0 via Update Manager. 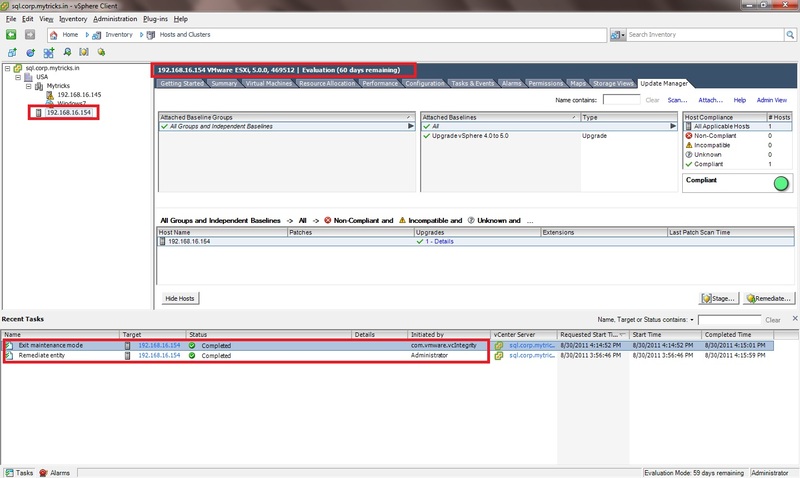 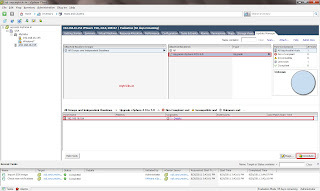 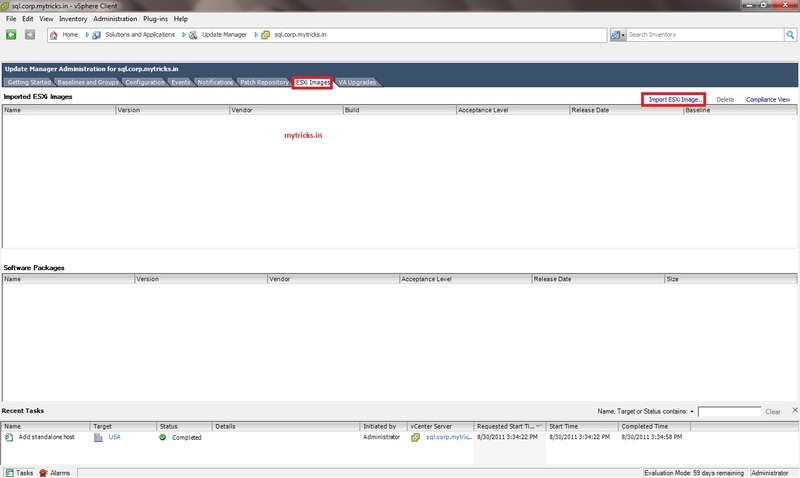 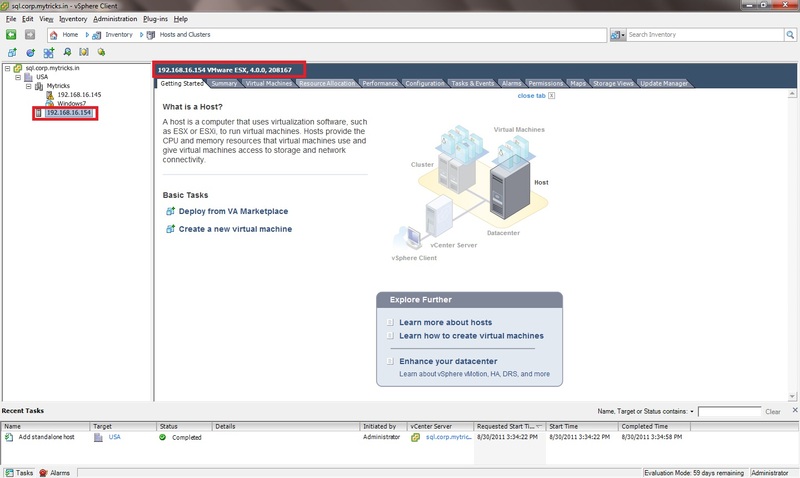 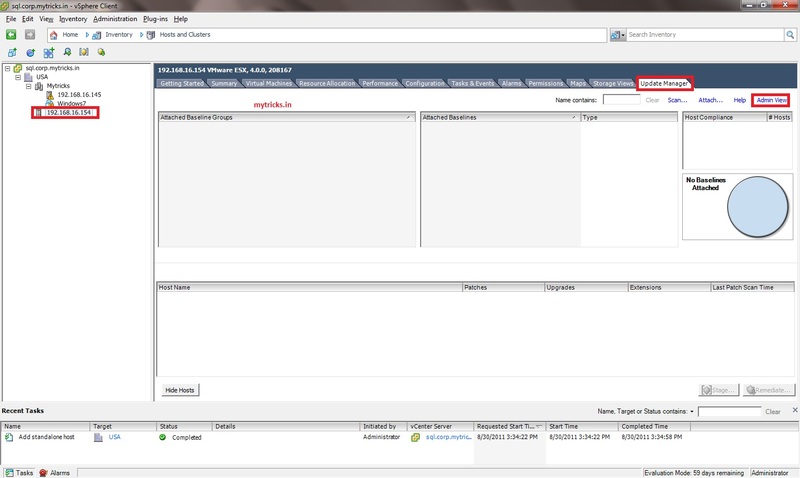 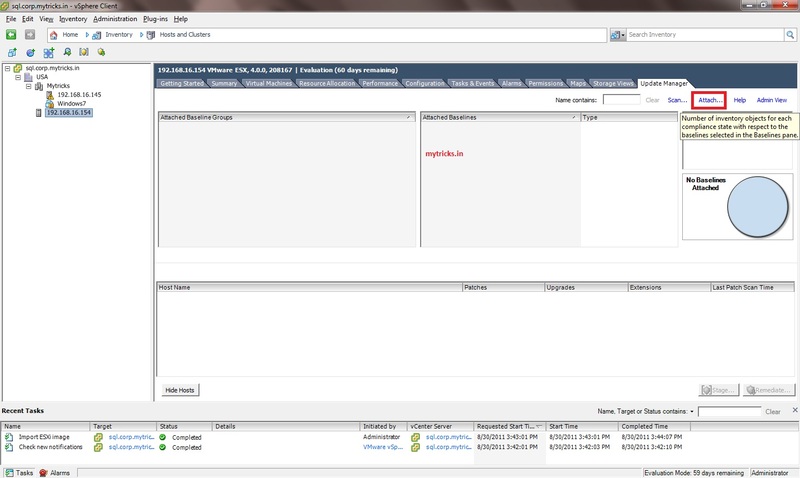 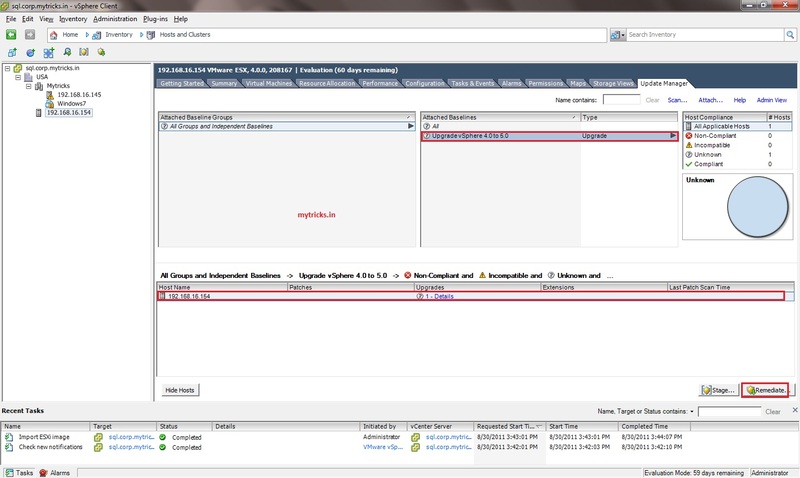 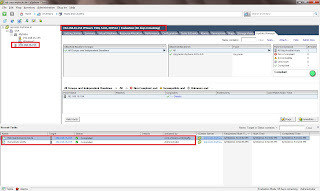 Login to your VMware vCenter Server via vSphere Client. 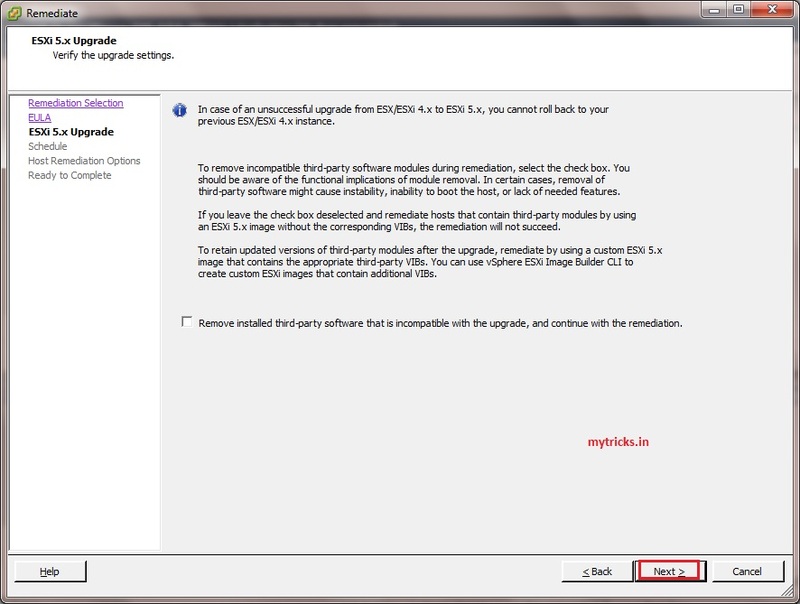 Select host which you want to upgrade. 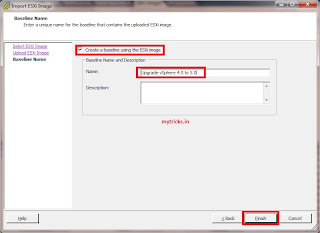 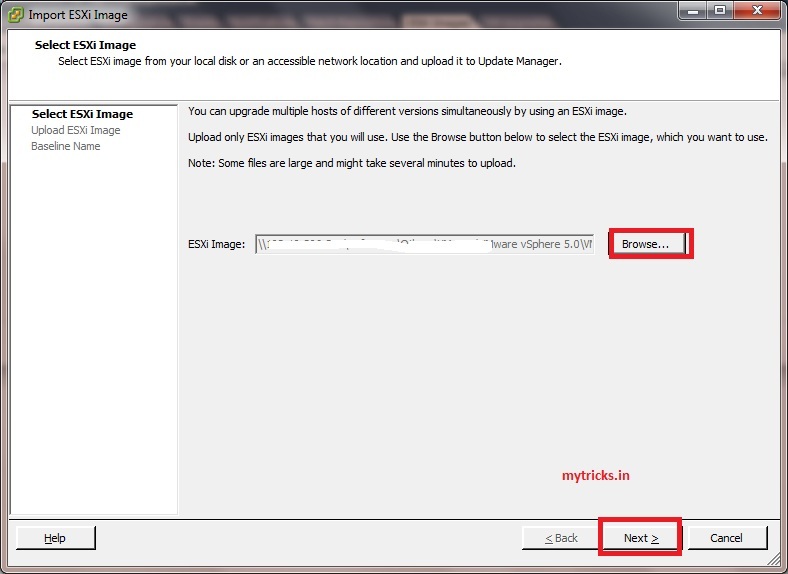 Click on Import EXI Image option. 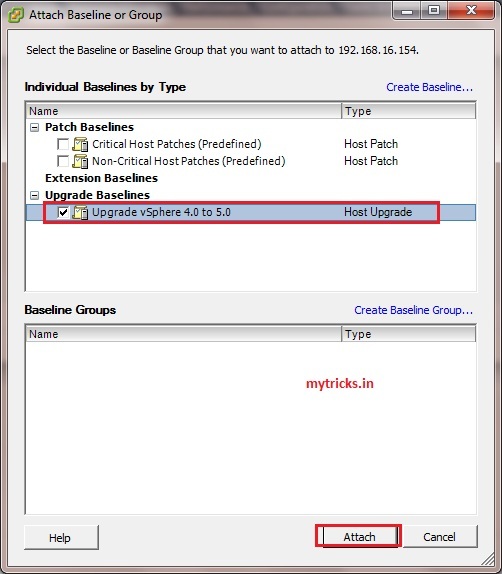 Provide path of your VMware vSphere 5 ISO image file & click Next to start Upload. 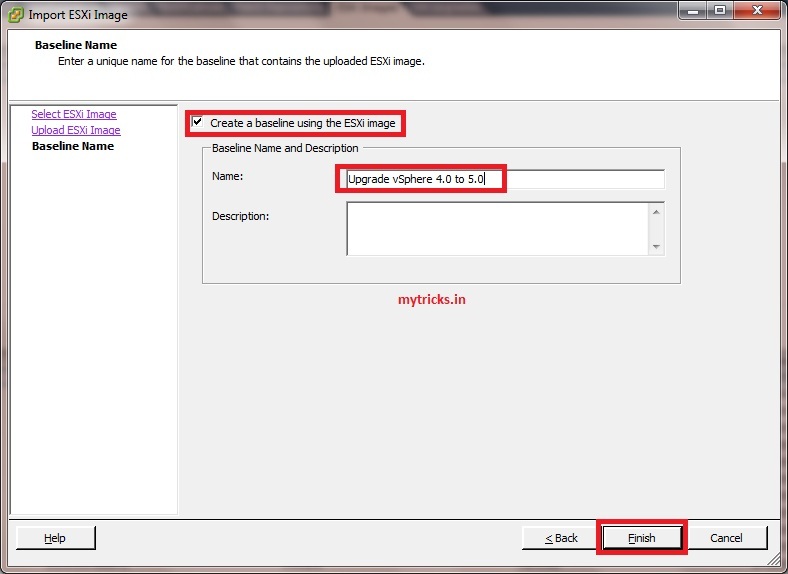 Now it will ask you to create BaseLine, assign name to your baseline & click finish. 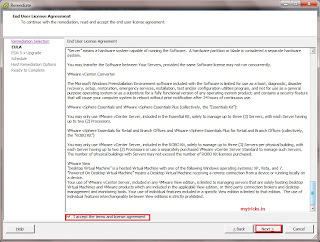 Again select your host which you want to upgrade & Select Update Manager. 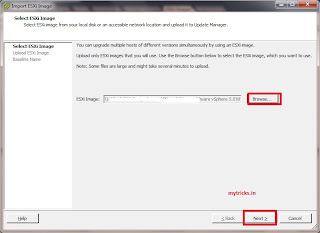 Under Update Manager select Attach option. 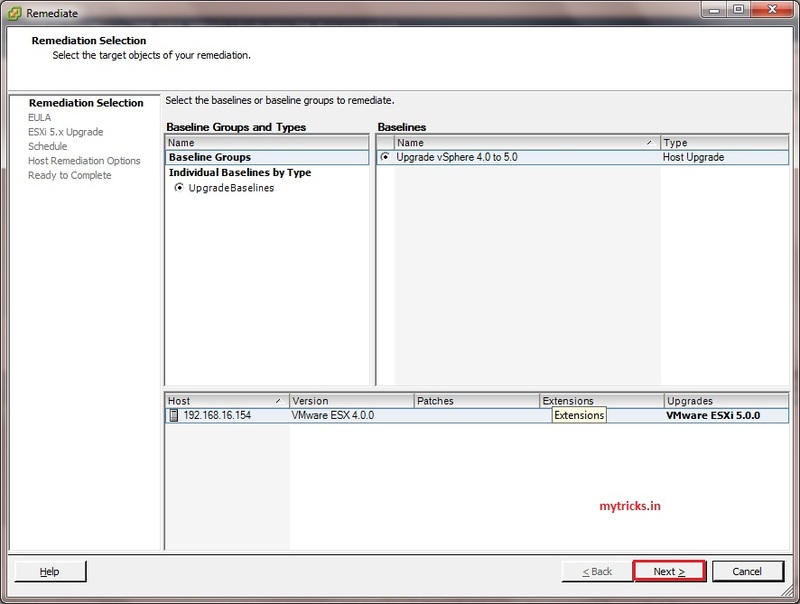 Select Baseline which we created in above step & click attach. 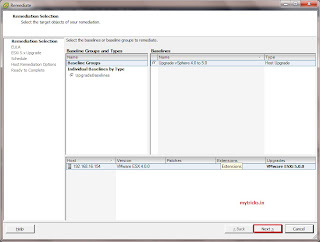 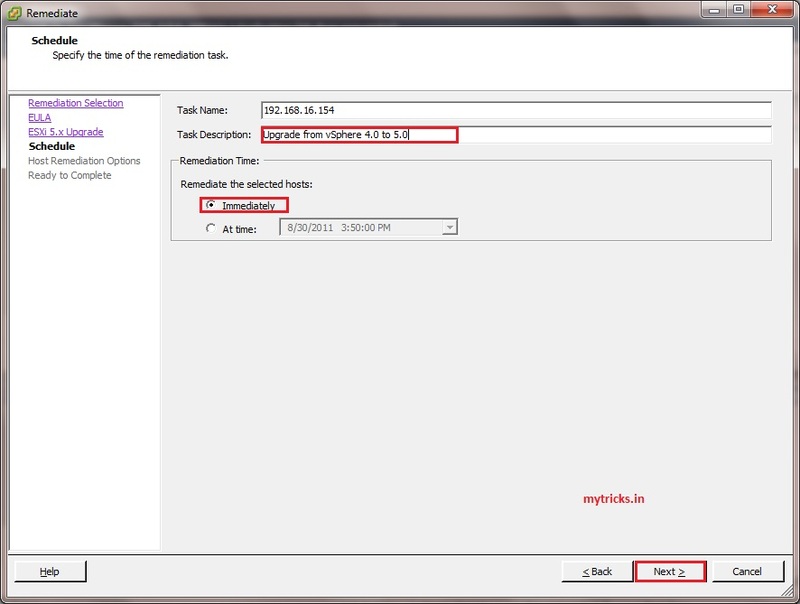 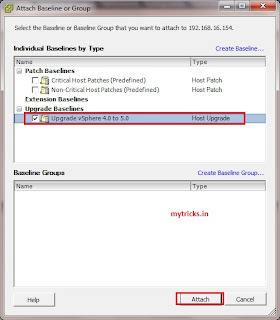 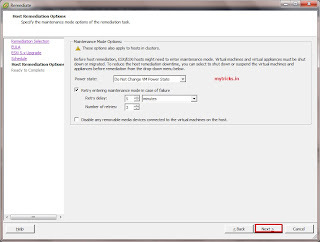 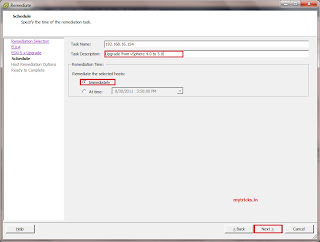 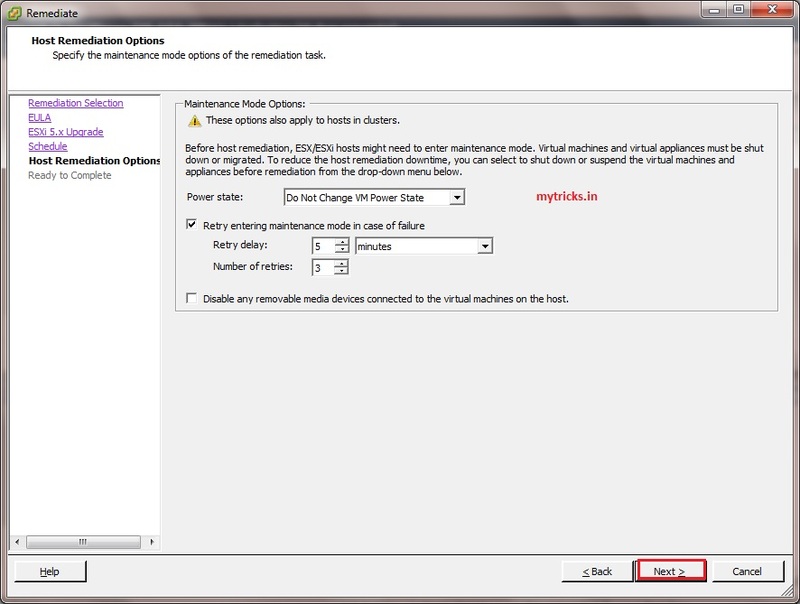 Add some description for your task & select the Remediate the selected host immediately option. Click on next. 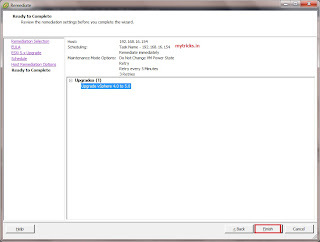 Click on Finish to start the upgrade process. 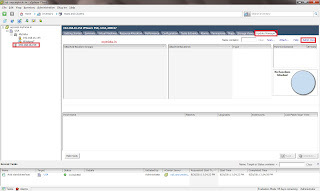 You can see the status in Recent tasks bar. Now you can see the VMware ESX Host is upgraded from 4.0 to 5.0 via Update Manager & host automatically comes out of the maintenance mode.